Given the dreadful summer we've had, I was asked recently by a client where’s good to go for October half term that’s likely to be warm and sunny....plus, has some culture, a little bit of exotic and isn’t too difficult to get to from the UK? Knowing the family concerned well and knowing that they like to dothings as opposed to spend a full week on a beach, but equally they don’t like to be on the move the whole time, my suggestions were Marrakesh and Oman - but why? Marrakesh is a magical and evocative city with a definite nod to the exotic. It’s often the gateway to Morocco for most visitors and understandably so; within a short drive of its atmospheric souks you’ll find traditional Berber villages, stunning mountain landscapes, rippling desert sands and coastal towns ripe for lolling around or hitting the surf. 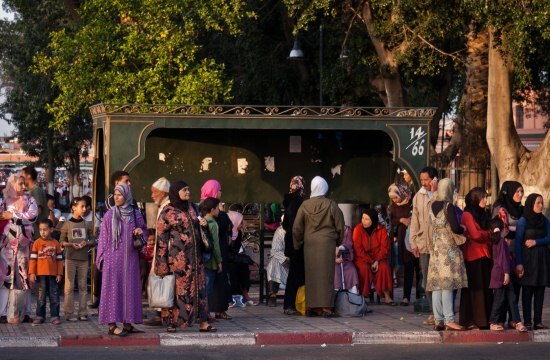 People do ask me if Marrakesh is safe and will they just get hassled the whole time by hawkers and conmen? Okay, I’m not going to kid you; going on holiday to Marrakesh is not like going to Spain or Portugal. Yes, the traders will try and sell you something at an over inflated price, but the name of the game in the souks is to barter. As for being pestered and conmen - we have fallen foul of being shown to the tannery (the blame there definitely lays at the feet of the Hubby) and we won’t make that mistake again! You have to travel to Marrakesh knowing that these things are a way of life and just be firm. I’ve travelled to Marrakesh many times (both with the Hubby and on my own) - I have always felt safe and I’ve made the mistakes so my clients don’t have to! “Holly just loved the snake charmers, the story tellers, the ladies wanting to henna her hands and the whole buzz of the main square, even though it was constantly crammed with people. To start off we booked a guided tour of the souks to get our bearings and then ventured in on our own; it was fairly easy to find our own way around and to be honest getting a bit lost was part of the fun! We saw the main sights, the best being the stunning Ben Youssef museum and taking a horse drawn caleche to the beautiful Majorelle Gardens, which was a bit smelly but Holly loved it. Having a pool at our hotel was definitely a plus so we could spend the odd afternoon relaxing after all the sightseeing. We’d definitely recommend Marrakech as a family holiday. We did need to keep an eye on Holly as she was so easily distracted by everything going on around but it was such a fantastic experience for her and she completely embraced it. A big plus was having a family holiday totally different to what we normally do, with a bit of the exotic and no long haul flight.” Sally, John and Holly (aged 8). In a week you can easily combine a few days in Marrakesh with sometime in the Atlas Mountains - a mere hours drive away - where you can visit traditional Berber villages, do light treks around the stunning countryside or more energetic mountain hikes. Equally it’s a lovely place just to chill out and breathe in the fresh mountain air. If you’d prefer to spend some time on the beach, head to the picturesque fishing port of Essaouira which is a 2½ hour drive away from Marrakesh and offers a complete change of pace. There’s a medina which, thanks to its mighty battlements, is a UNESCO World Heritage site and the whole place has a positively laid back and rather arty vibe. The big attraction here is the long arc of golden sand; even in the often windy conditions this is a great place for a walk whilst, given the conditions, surfing is also very popular. 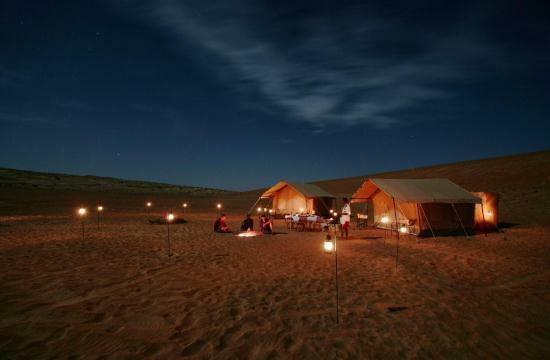 Oman is a great destination for a family holiday. With its mix of culture, history and breath-taking scenery from pristine coastlines to lush green valleys, rugged mountains and vast desert expanses; the only question is how hectic you want your trip to be? Oman hangs on to its heritage proudly but, despite this, you'll find a very liberal and tolerant nation and it won't be long before you succumb to the friendly hospitality of the Omani people. If you’ve ventured to Arabia before but never really got much further than Dubai, your arrival in Muscat (the capital) will certainly be a refreshing change to the skyscrapers and department stores of Dubai. The old town is still charming, in a traditional way, and the narrow lanes of the souk have changed little over the centuries; the scent of frankincense and sandalwood hangs in the air whilst Omani women sit amid piles of silver and silks. Muscat’s old port at Muttrah is the hub for local fishermen whilst the harbour, protected by two great 16th-century forts, is a nice place to take a stroll along the recently renovated corniche. Muscat is where most people base themselves and there’s an array of places to stay with fantastic beach fronts and excellent facilities including some very good diving. From Muscat you can take cultural day trips into Oman's interior which is littered with villages, watchtowers and a life that’s hardly changed over the years. Take Nizwa, the former capital and a 2 hours’ drive from Muscat. It’s an excellent example of a thriving, traditional Omani town with a bustling livestock market. Nearby, there's a UNESCO World Heritage fort and mysterious beehive like tombs. You can also journey into the spectacular desert landscapes of the vast Wahiba Sands. A trip here is possible from Muscat (it’s a long day), but to really appreciate the vastness and solitude of the area it’s best to spend a few nights at a tented camp where your days are spent driving the sand dunes, riding camels and getting a chance to gain a real insight into the life of the nomadic Bedouin who raise and train camels in the area. Oman is a great country for adventurous, exciting and safe expeditions for families; it’s culturally fascinating, geographically breath-taking, diverse and filled with awesome wide open spaces waiting to be explored. And where have my client’s decide to try for their half-term trip? Oman. I’ll wait to see what the verdict is! If you would like some more ideas on how to spend the October half term break or would like some help with arranging any future trips, please feel free to contact me.